Hooray!... After 20 hours Obama Finally Decides Boston Bombings Were an "Act of Terrorism"
After twenty hours Barack Obama finally decided that the bomb blasts yesterday in Boston were terrorist related. 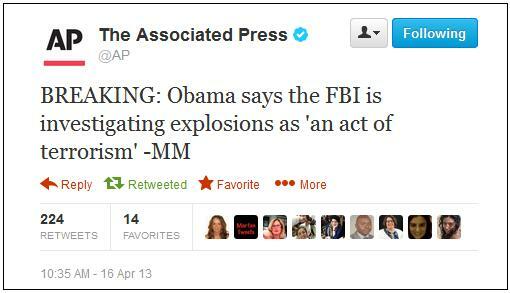 Obama announced the revelation in his press conference this morning – his second press conference since the bombings. What took the rest of us a matter of seconds to see took Barack Obama twenty hours to comprehend.